Patel and Mevani, who have been criticising the BJP government over its policies, said they had never asked for any security. 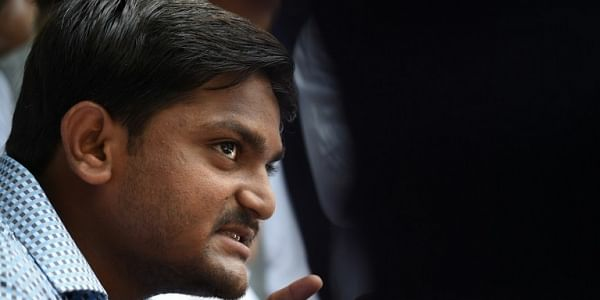 AHMEDABAD: The Gujarat government has provided armed police security to quota protagonist Hardik Patel and Dalit leader Jignesh Mevani in the run-up to the elections in the state, a move both the leaders claimed is a ploy to monitor their movements. Patel and Mevani, who have been criticising the BJP government over its policies, today said they had never asked for any security. However, the police have said that both the leaders were assigned security purely in view of threat perception. The city police had yesterday deployed one armed police personnel each for Patel and Mevani. According to the police, round-the-clock security was provided with an aim at thwarting any possible attack on Patel and Mevani in run-up to the polls, scheduled next month. Patel, who has been leading strident protests against the ruling BJP demanding quota for Patidars under OBC category, alleged the government wanted to "spy" on his activities under the garb of providing security. "I never asked for any such police protection. As the Assembly polls are approaching, the BJP want to know where I am going, whom I am meeting, etc. These policemen are actually spies sent by the government. I don't need such protection," he told reporters here. The Congress has been courting the quota leader who had asked the party to first commit itself to providing OBC quota for Patels if it wants his support in the polls. When contacted, Mevani said he suspects the government may monitor his movements through the armed police guard assigned to him. He said he would meet the city police commissioner in this regard. "Though I have not asked for any security, the police sent one gunman who will remain with me 24 hours. I suspect that the government may keep an eye on me through this policeman. "If the police really feel that their is threat to my life then I will call on the police commissioner tomorrow to understand their side," the Dalit leader said. Interestingly, in the upcoming polls, both Patel and Mevani have hinted at supporting the Congress, which has been trying to form a bloc of Patidars and Dalits to counter the BJP. DCP (Control) H R Muliana said, "This is election time and those in public life are always at the risk. Keeping in mind such threat perception, we have given police protection to them (Patel and Mevani). In the coming days, many others would also get such protection. No one should take it otherwise."